Former Arsenal manager Arsene Wenger joked he now “gets a trophy every week” after being honoured by the League Managers Association (LMA). Wenger left the Gunners in May after winning three Premier League titles and seven FA Cups in a 22-year spell. He was awarded the LMA Service to Football Award at Wembley on Thursday. “The LMA is proud to recognise Arsene’s remarkable career in football management,” said LMA chief executive Richard Bevan. 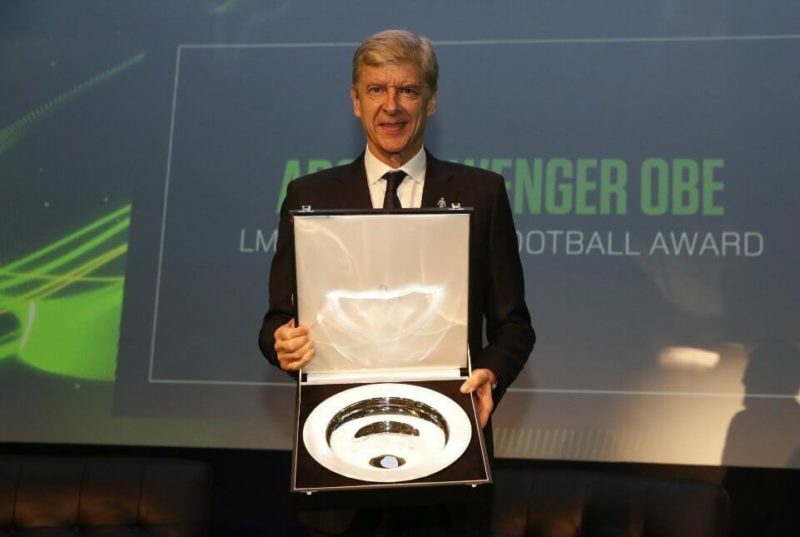 Wenger, 68, was presented with his award at the LMA’s President’s Dinner by England boss Gareth Southgate. “Since I don’t compete any more, I get a trophy every week,” Wenger joked. Outgoing Football Association technical director Dan Ashworth was also presented with a special award to recognise his achievements during his time at the organisation.